There is nothing sexier than toned limps i swear. Right now, my arms are by far my best assets.You know why? I look better in sleeveless dresses and tops, (fyi i dreaded sleeveless before. Lol) I look way way slimmer than someone else that's same body weight as me, in general it defines my body well by giving me that figure '8' silhouette . 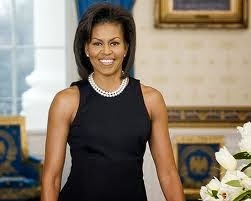 Check out those toned arms and shoulders on Mrs Obama! A few months ago, i found the importance of toning the arms and shoulders then i stuck with it, it has definitely paid off. I used to have very very large arms and wrist. My arms were like 16 inches before i started losing weight and as at last month, they were 12 inches. I have lost about 4 inches and the difference is very clear. If you want to shape and tone your arms, here are some tips. Try to lose a bit of weight first. If you are still a bit over weight, you won't really see the effect until a bit more fat melts away, then you start to see the definition. Get on a healthy fruits and veggie rich meal plan. Eat loads of proteins to help build muscles. Use weights and resistance bands: Don't use weights that are too light, or weights that are too heavy, it has to be right or get two weight ranges like i have. e.g: dumbbells, kettle bells are good. These are my workout buddies. If you workout at home like me do these exercises: Bench dips, push ups, skipping, weight training. If you go to the gym do these: Do bench presses, use the cable tower machine, the shoulder press machine, elliptical machine. These machines will help burn major fat from the arm area. My best out of all these and what i feel works faster are dumbbells and push ups, i can put my money on them any day. The secret is just to be consistent in all and work them at least 2 times a week and 30 mins a day that's all. In a month u will be seeing a huge difference. Forget about the scale for now, instead use a tight shirt or dress to measure your progress. Take it easy sweets, slow and steady we will get there, its not by magic. Stay positive and watch your meal portions. God bless. What weight is most appropriate for the dumb bells? I tried skipping but couldn't do it for long. My calves were really hurting so I had to stop. I'll really forget about the scale for now because it is very discouraging looking at the same weight for days. Thanks for the advice. Wow now am glued to ur blog. Hi Jane. Thanks a lot dear. About the push ups, u need to watch your form so u dont get injured. Generally, strength training can cause serious injuries if care isnt taken. When using resistance bands, dont rush the moves. And dont use weights or tensions that feel too heavy for you. 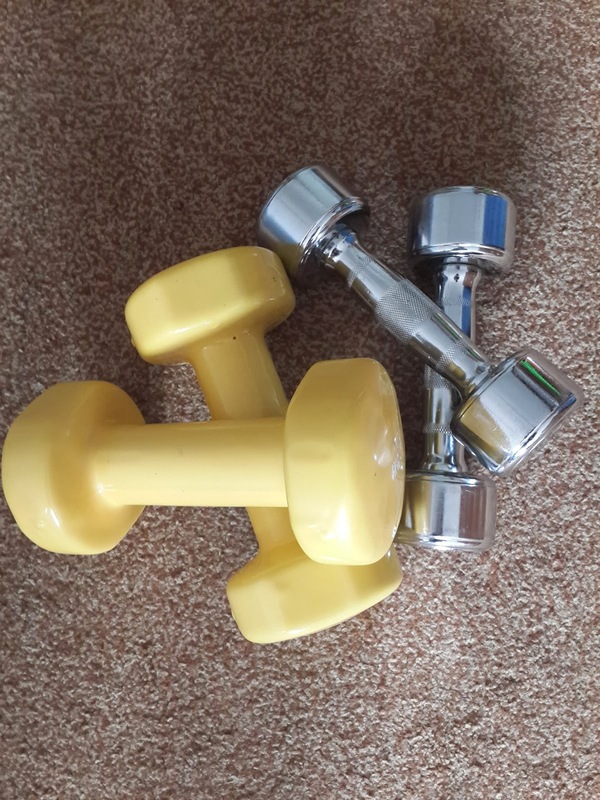 The ideal weight range for dumbbells are 2kg to 3kg. same goes for resistance band tension levels. Try and check youtube for some good exercises that work. Take care.